With more than 18 years of industry experience, Powerhouse Heating and Air is a local favorite team of HVAC contactors. 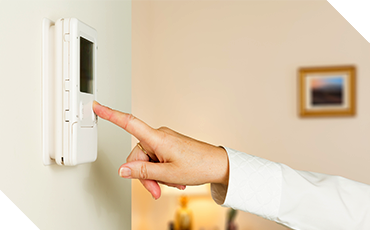 Faithfully serving the Omaha, Elkhorn, and Blair communities, we are committed to providing only the highest quality heating and air conditioning services paired with excellent customer service and an unbeatable 100% customer satisfaction guarantee. At Powerhouse Heating and Air, we can replace, repair, install, and service your home or business’s entire HVAC system. We offer all of the residential HVAC services that the bigger companies advertise. What really sets us apart from the rest is our pricing and our guarantee. We strive to provide our services at affordable prices that remain unsurpassed by our competitors. Aiming to be personable and prompt at all times, Powerhouse Heating and Air is Nebraska’s premier provider of heating and air conditioning services. We are confident that no job is too big or too small. Our commitment, first and foremost, is to our customers, and we are willing to go above and beyond to complete your job, regardless of size or complexity. If you have a need, our HVAC company will be there. We would be happy to discuss your heating or air conditioning need; please contact us today! Be sure to take advantage of our FREE estimates—sit back, relax, and let us show you what excellent service looks like. Control: We provide you with options that best suit your needs and let you decide. Honest Pricing: We tell you the cost upfront so there are no hidden fees. 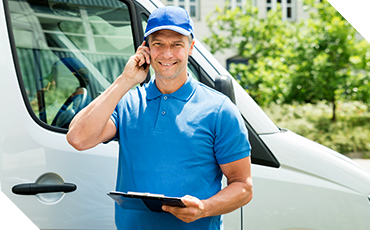 Punctual: Our HVAC contractors arrive on time and we’ll keep you updated on the schedule. Thoughtfulness: No messes left behind. We always use shoe covers and drop cloths and we clean our workspace so there is no mess. Quality of Service: We strive to create exceptional customer service from start to finish.